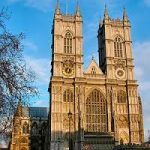 Dozens of other churches of different denominations all over the British Isles. 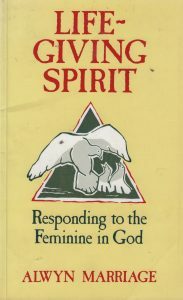 Life-Giving Spirit: Responding to the feminine in God. SPCK, 1989. Pre-dating much of the writings of Christian feminists, this was an early exploration of the femininity implicit in much of the language and imagery that has traditionally been used to describe the Holy Spirit. Resisting any attempt to down-grade the Holy Spirit, who is as much God as the other two members of the Trinity, I argued that only if we take seriously both the femininity of the Spirit AND the centrality of that Spirit in our understanding of God can we fully appreciate the wholeness and holiness of God in Trinity. The People of God: A Royal Priesthood; published by Darton, Longman & Todd, 1995; price £9.95. In this book I offered a vision of the Church as the priesthood of all believers, and argued that unless we take seriously the doctrine that all Christians are called to be priests, there is little future for the Church. This inclusive vision, which was the basis of the Old Testament concept of God’s chosen people, was restored through Jesus’ calling of the first disciples and the mission of the early Church, and has been a recurring theme through reform movements ever since. I have lectured widely on theological subjects; and articles and reviews in which I address theological subjects have also appeared in New Fire, Christian, Theology, Church Times, and other publications.